After years of hype and teasing of a foldable device, Samsung has done it. Samsung is ready to let us have some hands-on experience with the Galaxy Fold. If you are interested in spending two grand that Samsung is asking for the Galaxy Fold, you can have it after April 24. You probably wondering what it looks like and even if it has something that makes it worth the money. Preorders are already open in the U.S. This phone isn't cheap and definitely not for everyone. The price tag is approximately $2,000. It is actually $1,980. You are really getting two phones at this price. The first thing people would like to know about with this 7.3" display is whether the crease is for real. Would it be visible? Would it damage the visual experience on this phone or not? The first impression is - yes, it is real. It is visible but not really too obstructive. It is kind of like reading a book that has a folded page. It is not going to stop you from getting the information you need. The other concern people have is that it doesn't close completely and there is definitely a noticeable gap. But if you try to slide a business card inside the phone, you will notice that it won't let you as the phone does close at the ends of the display. The phone when the fold is held together by pretty strong magnets. There is a fingerprint sensor at the side of the phone but also is the Bixby button. The phone is almost double the size of Galaxy s10 Plus. But then fold it, and it's a lot skinnier but of the same height. The display is made of an advanced composite polymer material but it's not glass so that it can bend. It is not much different from the glass. It may be a little less bright and stunning but you won't feel any difference when it comes to screen clarity. There is also a USB-C charging port at the bottom although you will notice there is no headphone jack anymore. On the side, there are other buttons like power, the volume. There is a triple camera system on the back side. It is similar to Galaxy S10, both at 12MP, wide angle and telephoto. If you fold it, the screen will be of the 4.6-inch screen. Because of the tiny screen, you may feel it difficult to use, in that case, you can open the phone to get a huge 7.3-inch screen. The crease isn't much obvious when you are watching something with a dark screen but it is a little obvious with light color or white background. So this is where the crease gets more annoying. The full-screen selfie is great when the phone is open. One of the biggest use of the big screen is having multiple apps opened at a time. You can open 3 apps at a time and work like a pro. These apps are resizable but having multiple apps opened there is not much space being left out for resizing. This is powered by dual battery setup and they add up to about 4,000mAh on the battery. Galaxy Tab A: What Do You Think of Samsung’s New Tablet? Just as expected for months, Samsung has finally released a new 8-inch tablet in a market that hardly has any customers who are looking for Android tablets! 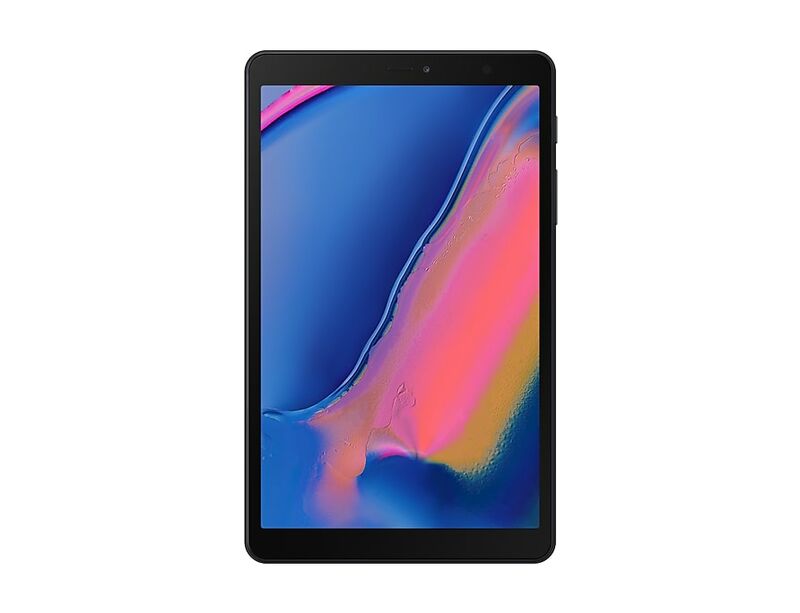 The model number on the new Galaxy tab A is SM-P205, just as reported by SamMobile months ago. The 8-inch Galaxy Tab A has support for the S-Pen and is named "Galaxy Tab A with S Pen 8.0" apparently, which is as straightforward as it comes! Check out some of the key specs of the device below. What do you think of the device? Do you think it's worth a look once Samsung announces the price? Tags: galaxy tab what think samsung’s new tablet? The Samsung Galaxy S10 is Finally Here! Samsung seem to be sensing the rougher period Apple's crossing through right now and decided to go full steam ahead into launching its new creations so that they put a considerable lead between them and the Californian rivals. After announcing the first foldable phone just a few weeks ago and teasing everyone with the 10 generation flagship smartphone, the Samsung Galaxy S10, the Asian tech company is starting to put actions to words with the launch of the latter. We're going to cover all the feature from a user perspective and try to accurately answer the question of " Do I need an upgrade?". Of course, for some of our you, this topic won't be as interesting as reading online casino reviews, however, it's something very hot and it needs to be covered properly. Without doubt, the best feature of the new Galaxy S10 comes from the amazing 6.1 inch Infinity Display. This is the feature that sells the smartphone and introduces a smooth edge-to-edge screen that scratches from side to side and top to bottom with millions of pixels spilling over the finely curved edges. The new display is so large that it leaves the front camera being a small punch-hole looking spot on the screen and what's even more impressive is that all the sensors are perfectly tucked behind this bright and rich Super AMOLED display. Ever since the first use of fingerprint technology to unlock or use certain feature of smartphones, this technology was controversial. Of course, we're not going to focus on this matter, especially in times when big tech companies are accused of industrial-scale spying. Instead, we're going to give Samsung a massive pat on the back for giving up on the fingerprint pad that they placed on the back of the Galaxy S9. The ultrasonic fingerprint sensor is now perfectly integrated in the same Super AMOLED display that hosts the camera sensors. Getting an impressive 93.1% screen-to-body ratio, the Galaxy S10 is simply outstanding when it comes to its display capabilities. The same concept of maximization is behind the triple-lens rear camera the S10 comes equipped with. It allows you to take normal shots, telephoto and even ultra-wide photos with ease. Of course, the hit features like ultra slow motion are still there and have been improved with the addition of the third camera on the Galaxy S10. And while the ultra-wide camera is not necessarily a new concept since it was used on some LG phones before, it is all about capturing more of what lays in front of you without needing to back up. If we were to describe the Samsung S10 in a few words, it's like taking hallmark features of other handsets and packing them all into one phone with flawless functionality. Of course, since we're talking about one of the biggest tech companies in the world, Samsung comes with a lot of pioneering technical features like the Wi-Fi 6 or HDR10+ that are firsts on smartphones. However, they also bring features that have been used before like Wireless PowerShare that enables you to use the S10's back as a Qi charge station for another phone or the Galaxy Buds that clearly have their source of inspiration in the buds proposed by their biggest rivals, Apple. 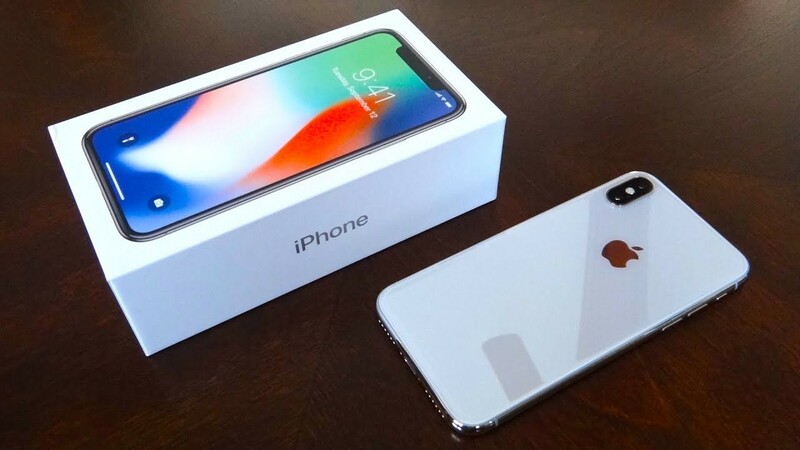 If you pick on the things that were already done on other smartphones, you would never appreciate any newly launched model since most of the features are repeated or improved because technology advances can only get so far. Also, the price aspect sometimes limits manufacturers to putting more innovating technology and features on their gadgets. And since the S10 is considered to be quite pricey as it is, you can understand why some features were left for future unveilings. Celebrating a decade of Galaxy S phones, the S10 brings the necessary innovation to become a tempting upgrade for S9 users. The flagship of Samsung phones is definitely a step forward and the 93.1% display-to-body is all it takes to convince users that are interested in going to infinity and beyond when it comes to smartphones. Tags: samsung galaxy s10 finally here! Samsung's Galaxy S series of smartphones have always sported great Super AMOLED panels, but from the Galaxy S8 onwards, they have consistently sported the best mobile displays every year. Staying true to the tradition, Samsung has apparently taken the crown once again with the Galaxy S10's display in 2019 as well. DisplayMate has published the findings of its testing with the S10's display and the results are quite astounding really. The display sports "Absolute Color Accuracy at 0.4 JNCD," which means that the colors on screen cannot be differentiated from the colors on the real thing by the human eye. Try some of the most realistic slots online and you won't spot a difference. OLED displays have always been the comparatively dimmer ones, when compared to quality LCD displays, but Samsung has once again managed to get a 17% hike in peak full screen brightness levels, taking the nit count as high as 804 nits, which is just astounding for an OLED display in particular. 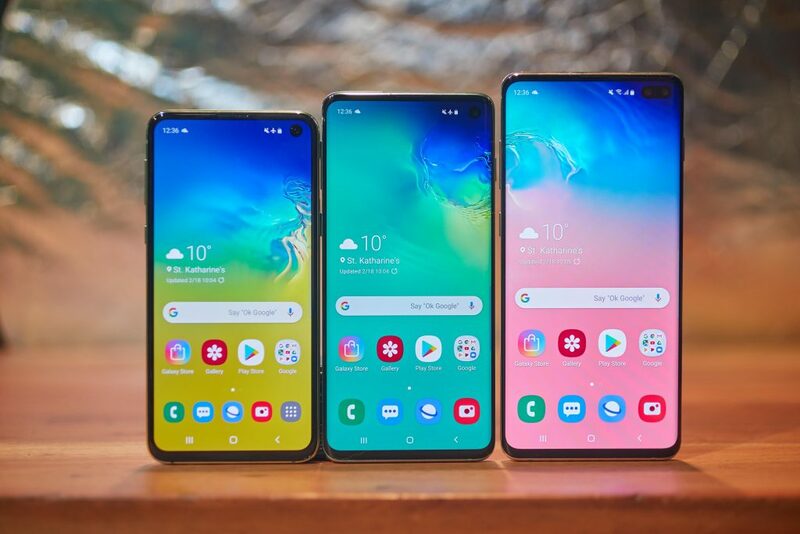 Considering the color accuracy, the wide color gamut and the superb brightness levels, it is not really a surprise that DisplayMate has given the Galaxy S10's display an A+ rating and states that it did not lack in any department during the test. If you have already ordered or planning to order the Galaxy S10, S10e or S10+, we have even more good news for you. You will be able to make full use of that QHD+ Super AMOLED display with brilliant colors and high brightness levels by streaming HDR content directly from Netflix on it. Given how important high brightness, a wide color gamut and native contrast ratios are for displaying true HDR, it's actually great news. Smartphones are not divided into male or female, but there are models that are very popular with the beautiful half of humanity. After all, we all want easy access to the internet, watch the latest media streams or enjoy some of the latest new slots online. What are these devices? Well, here is our top 10 of them. Want a stylish smartphone with good features but do not want to overpay? Check out the new Huawei P10 Lite. The smartphone strikes first of all with its very beautiful glass and steel case. On the back of the case, there is a decent 12-megapixel camera, as well as a fingerprint scanner. Of course, it is impossible not to talk about the new iPhone, especially since this is a completely new model. The main feature is a frameless case, that is, in front of us is a full-screen smartphone. For example, the width of the case is only 70.9 mm, which is noticeably less than that of the iPhone 8 Plus with a 5.5-inch display. The second important feature is Face ID - the unlock function by identifying the owner's face. Galaxy S8 is very popular with both men and women. It should be noted that the latest generation of the flagship from Samsung has received not only a great case design but also a large screen with a diagonal of as much as 5.8 inches. Still, the width of the case is small: only 68.1 mm. Not only the design of the case was changed but also the location of the buttons. For example, the buttons are now touch-sensitive and onscreen, the mechanical Home key is no longer there, and the fingerprint scanner is located on the back. There is also one of the best modern smartphone cameras. This is a phone for a confident and strong woman. If you want to find one in your life, then be sure to visit the following website where you will be able to marry a woman. The new flagship from the company Meizu can be safely recommended to the all women out there, especially the ones who like to take selfies. Why? The secret lies in the presence of an additional screen on the back of the device. It is small and only 1.9 inches, but this screen is very useful - you can display a picture from a double rear camera and take a selfie on it! This smartphone is called the most compact among the flagships on Android. And this seems to be true since, in the market, you can hardly find another equally powerful 4.6-inch smartphone. The Xperia XZ1 Compact has a very stylish, high-quality plastic case, an excellent display, the most powerful Qualcomm Snapdragon 835 processor, 4 GB of RAM, and 32 GB of internal memory. Xiaomi Mi A1 is perfect for both the male half and the female. It received a stylish metal case, the color of which can be chosen (for example, gold or pink gold), a large 5.5-inch display with a resolution of 1920 × 1080 pixels, a dual rear camera, a powerful platform based on a Qualcomm Snapdragon 625 processor with 4 GB RAM. But the main feature of this smartphone is the presence of "bare" Android instead of MIUI firmware from Xiaomi, which will certainly attract a separate group of users. At the same time, Mi A1 is relatively inexpensive. iPhone SE is still a great success, and this is understandable - a 4-inch smartphone built on the basis of the powerful iPhone 6S. If you do not like large smartphones, be sure to check out SE. As mentioned above, it is basically the iPhone 6S, so when it comes to raw performance, SE is beyond praise. This is not the most powerful device, but it's very stylish. The case is made of glass and metal; in this generation, Samsung offered several interesting color options. By the way, the display is quite small, being only 4.7 inches. Speaking of budget smartphones, it is impossible not to mention the Meizu M5c. Why? At least because this device looks very cool - the case is made of plastic but of very good quality; the quality of assembly is also excellent. Since we are talking about an inexpensive smartphone, do not expect miracles: there is no fingerprint scanner, dual camera or fast charging function, but there is a high-quality 5-inch screen, an interesting interface based on Flyme OS. If before, the case was completely metal, now, the back cover is made of glass, and the case colors have changed slightly. What is more? The new processor, updated cameras, the new wireless charging function, and the True Tone color technology.